Welcome to the LEGACY Development Blog! 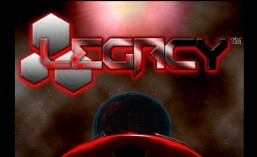 Well, I’ve finally gone and set up the official dev blog for LEGACY. From here I hope to keep all of you informed on the latest and most exciting news about the making of and the progress of the game. I actually started the development phase way back in March. Since then I have been working non-stop to create assets and material for the game, so blogging about it was sorta left to my Facebook status updates. Now, with this blog, I’m hoping to keep you more up-to-date with the on-going process here at Polyfountain Media L.L.C… the newly formed company umbrella to house the new I.P. So, I hope you follow along with my team and me on our journey of creation and creativity! <Here’s where you imagine a bottle being smashed against a big ‘ole ship with the name ” LEGACY” on the stern>.